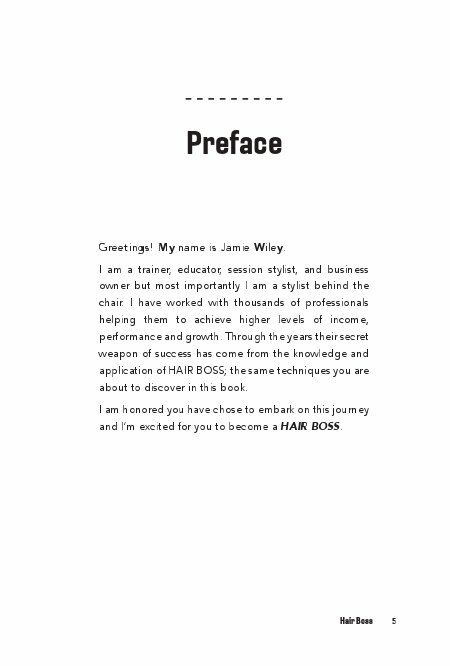 HAIR BOSS author Jamie Wiley offers beauty industry professionals a way to elevate their career. In this inspiring, helpful, and practical book, Jamie covers industry challenges and ways to combat them. 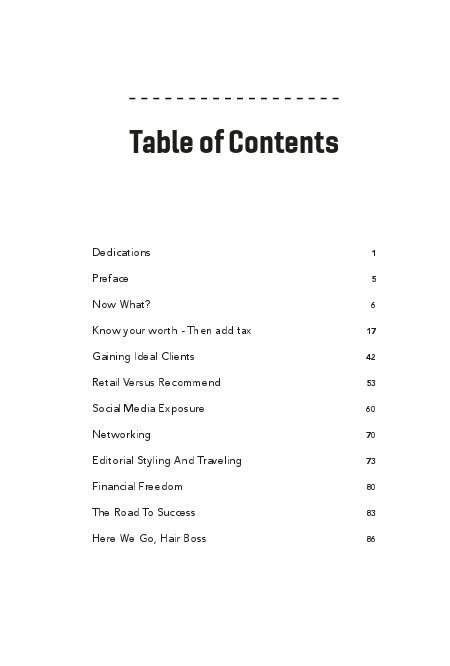 By utilizing the techniques within the book you will have the ability to... -Find your worth and price your services accordingly -Build a full book of guests with ease -Gain ideal clients and where to find them -Become financially free and what that means for you -Gain business building strategies for the 21st Century -Resurrect the HAIR BOSS inside of you -Uncover your full potential and own your career Jamie shares HAIR BOSS principles that are sure to lead you to success on your own terms. 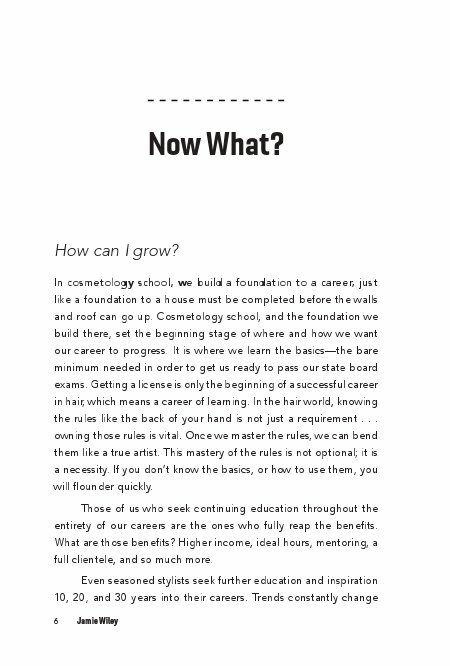 HAIR BOSS author Jamie Wiley offers beauty industry professionals a way to elevate their career. In this inspiring, helpful, and practical book, Jamie covers current industry challenges and ways to combat them. Drawn from years of experience in the field, Jamie's principles are sure to lead you to the answer on your own terms. 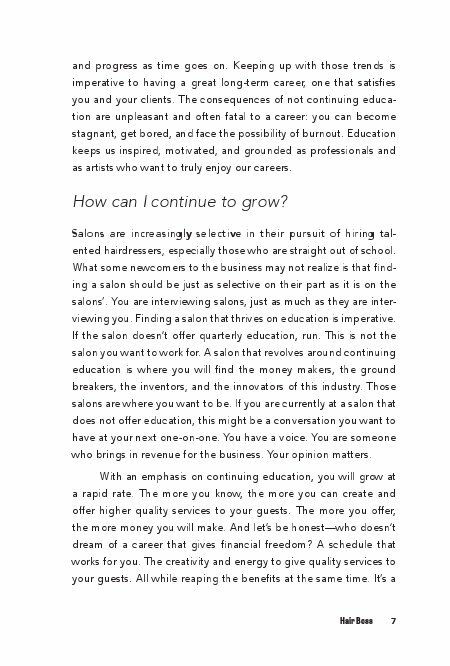 By utilizing the techniques in HAIR BOSS gives you the ability to... -Find your worth and price your services accordingly -Build a full book of guests with ease -Gain ideal clients and where to find them -Become financially free and what that means for you -Gain business building strategies for the 21st Century -Utilize social media to your advantage -Resurrect the HAIR BOSS inside of you -Uncover your full potential and own your career HAIR BOSS is a state-of-the-art guide to building your own path to professional and financial freedom. 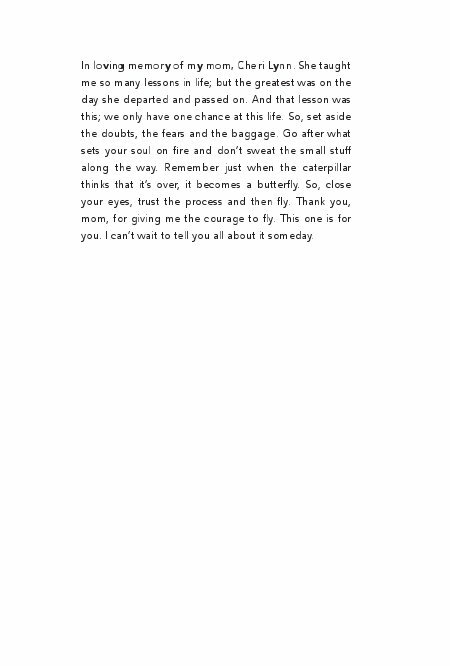 Its about finding your own way to living a career and life of your dreams.